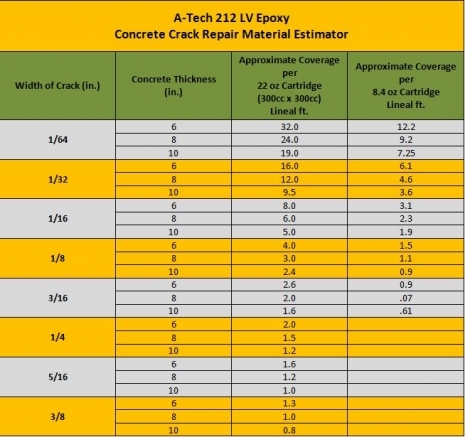 A-Tech 212 LV is a two component, 100% solids, low viscosity, moisture insensitive epoxy. It meets ASTM C-881. The product exhibits a high modulus of elasticity. It is recommended for use in hairline cracks up to 5/16” wide. It has a fast gel time to reduce the amount of material leaking out of cracks. This greatly reduces the amount of material used versus other epoxies. 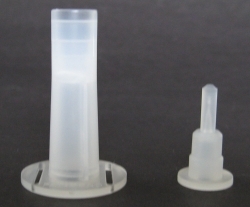 Condition cartridges to 60-80 F prior to injection. Suitable for application in concrete cracks 1/32” to 5/16” in width. Concrete should be above 40 F. Surface of the concrete must be dry for use.